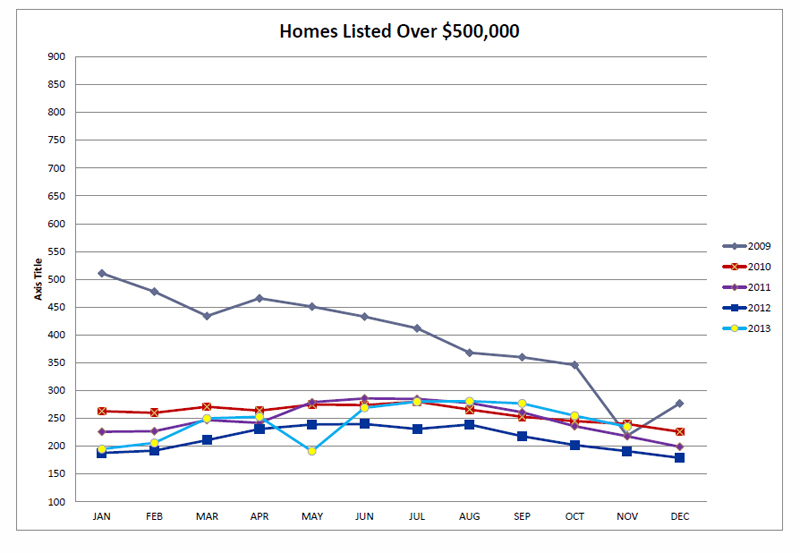 These graphs represent the Utah County Sold homes listed in Utah County priced Over $500k+. This statistical data was gathered from the MLS. 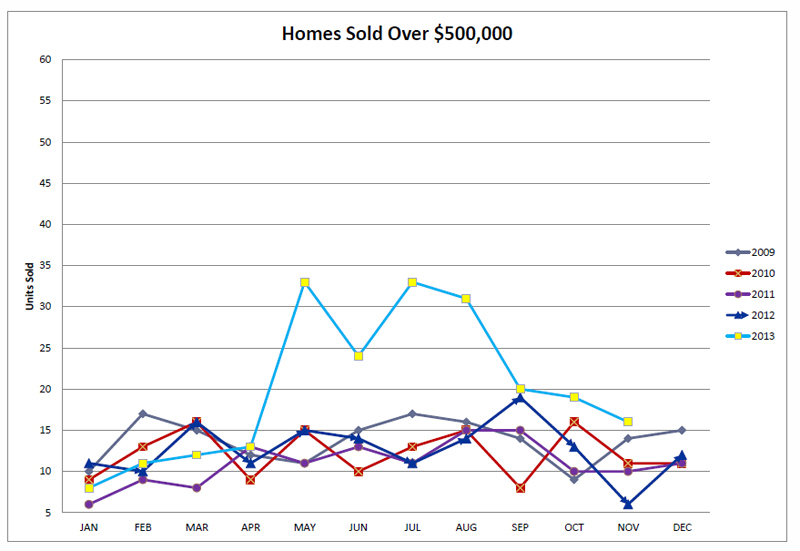 Each plot on the graph below represents the number of listings in this price range. Many sellers from 2007-2010 in this price range were stuck with their homes and unable to sell. The majority of the homes selling between 2007-2010 were Utah County Bank Foreclosures and Utah County Short Sales. The inventory of this price range began to stabalize in 2010 then climbed to new heights in 2013. The sold homes listed over $500k were relatively stable in 2014 and should be the same for 2015. The Number of Sold Homes Listed Over $500k. The number of Utah County sold homes listed over $500k hit a record high May of 2013. Prices started to rise in the first quarter of 2012 and they rose all thru 2012 and 2013. This has been good for people wanting to sell in the higher part of the Utah County Real Estate Market. The sold homes listed over $500k is the slowest segment of our market in Utah County. All the other sectors of our market must be hot before this sector gets moving.